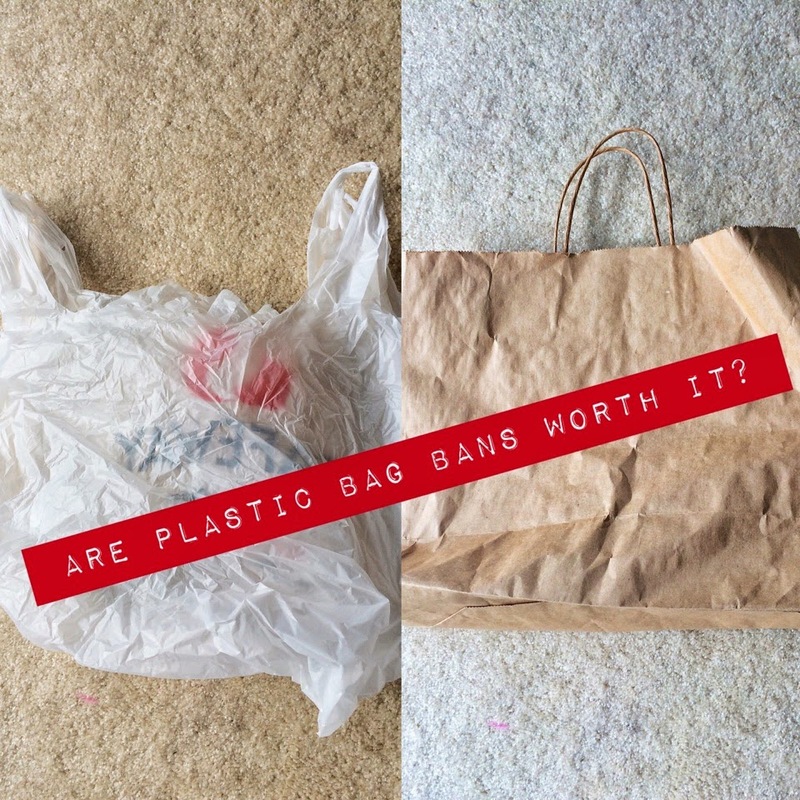 The Green Phone Booth: Are Plastic Bag Bans Worth It? I think it's still a good idea, especially on the coasts because of the plastic ending up in the ocean. If a paper bag ends up in the ocean it will biodegrade. It does bother me that Whole Foods double bags! We have had a plastic bag law in my county for almost 2 years now. It has noticeably reduced the amount of litter in parking lots, streets, and our waterways. I participated in a beach clean up last September that, at least during the two hours we were there, yielded NO plastic bags. I am not sure about the Hawaii bag ban but my county (and most of the Bay Area) has a law where people have to pay for the paper bags. The first year it was $.10 a bag. Second year, it became $.25 a bag. Here is what a survey in my county found: "According to surveys conducted by the County, the number of shoppers bringing their own bags has increased 162%. In addition, the number of shoppers hand-carrying their items grew 130%." That holds with what I see when we go to the stores. Everyone carries reusables. I'd say a very small percentage opt to pay $.25 to buy a paper bag. That's so good to know Green Bean! We were never asked to pay for paper bags, and were offered bags without asking, and some people even asked me several times if I was "sure" that I didn't want a bag (when I just carried items out by hand). We even received little paper bags for the smallest of items (a few bracelets that my girls bought as presents for friends) that we just put into small pockets in our own bags and purses. My brother even had someone give him items in a paper bag after he specifically told them no. Again, it might be because of the high tourist population who generally don't carry reusable bags with them. Then again, I"m confused why people just didn't do what we did, which is put them in our own bags (every tourist travels with bags)! When we were in the non-touristy areas I waited in the car to see if people came out with reusable bags and did not see one person. Oh, I forgot to mention that when my brother refused a paper bag in one store the clerk thanked him for not wanting one. I have wanted a plastic bag ban in my area, so I'm glad to know that it works in your county. 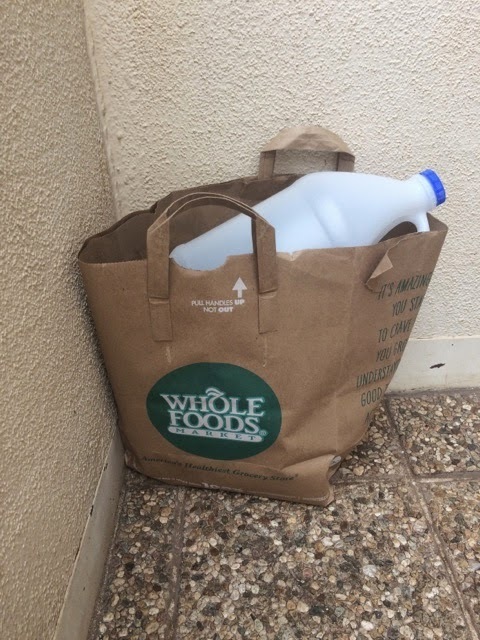 I'd like to know how to encourage people to bring their own reusable bags because in my area, when I go to grocery stores that charge you for the plastic bags (not just giving a credit for bringing own bags) many many people just pay for the plastic bags. I've even heard people say they want the plastic bags because they need them for garbage bags. And this is in the supposedly "green" west coast of Vancouver where everyone is supposed to be "tree huggers". All of this infuriates me, so I wonder if a ban came to my area if people would just continue to pay for their bags, whether they are plastic or paper. Perhaps people would be ok with paper as they think it is better because it can be recycled (high energy use to do so) and composted (but most people don't). I wonder about other areas with bans? Similar statistics? Any other public campaigns to encourage bringing bags to shop? What is the secret to their success? Such a good question - something I've been wondering about too. We don't have any bans where I live. I'm curious in places with plastic bag bans - do they ban the smaller plastic bags for produce and for bulk purchases as well? 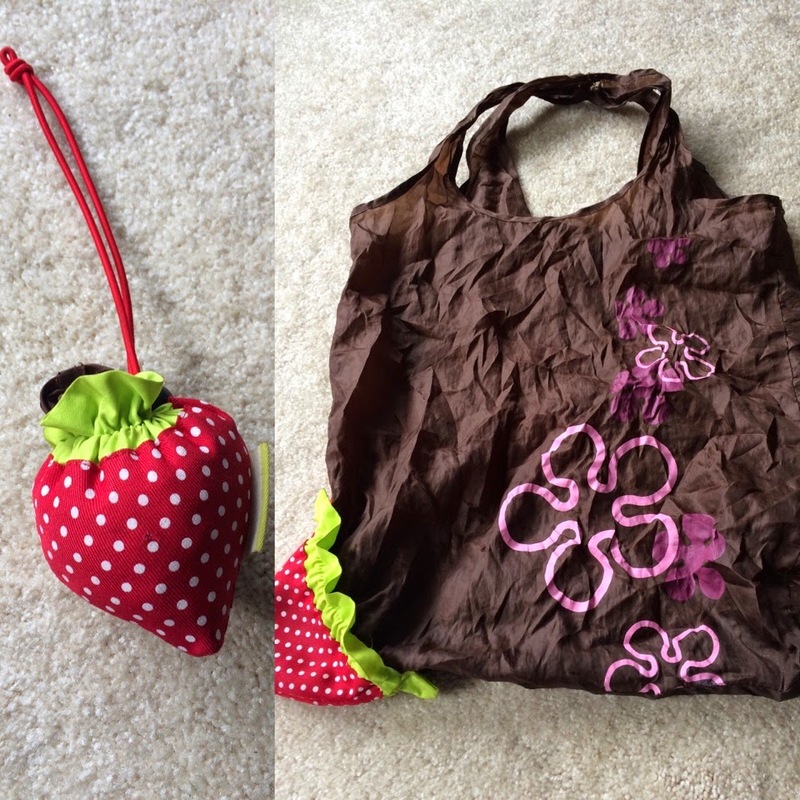 @MindfulMomma - In our area, only plastic shopping bags are banned. Produce bags are still available and restaurants are exempted (though styrafoam is not permitted). @Christy - Oh, there was the usual complaining about needing bags for dog poop and trash cans here too. The first month or so, the clerks and customers around me were all moaning and then, voila! Everyone adjusts. That's the thing about us humans. We can adjust to change. I get really frustrated around the plastic bag thing because I see how readily folks have adjusted. Going into a store now, the people in front and behind me all have their reusable bags or, if they have a few purchases, just carry them out. 1/3 of California lives under a plastic bag ban. It is in those locales that people most strongly support a state-wide ban - because they realize that it is just adopting a new habit. I agree with Green Bean. The plastic bag ban has been a big success. All the stores sell inexpensive reusable bags at checkout (not as great as high-quality reusable, but still better than single-use bags), they charge for paper bags which I think is key (everyone agrees the goal is to get people to use REUSABLE bags not just switch from plastic to paper -- signs in parking lots remind you to bring them from your car to the store) and always ask before giving you a paper bag since you have to pay. And some place give you a free reusable bag (the cheapy variety, but still) if you spend over a certain amount. I see most people using reusable bags now with the occasional person opting for paper. Unfortunately, there is no law imposed to ban plastic bags right now in New Jersey. It kills me by seeing people using plastic grocery bags like popping candies. The more the better is, double bagged some even triple bagged. Not sure where to start to get the states to thinking progressively for our environment. I agree that paper bags are not that much better than plastic bags. Carrying our own reusable bag is the best option. Reusable bags were under fired by ACC claimed that reusable bags are only last about 10 uses, and generate more carbon dioxide during production. Conversely, my 5 reusable bags have lasted me for past 3 years and still going strong. I am not gentle with them either. It is our responsibility to show the companies that we are willing to break the so call convenient lifestyle created those companies in order to lure our business. Convenience had marketed as necessity in our daily life, which allow disposable consumer products deeply rooted in our society. This status quo must be challenged, responsible design and production are much in need to change the industry landscape. Luckily, there are many new generation of social entrepreneurs are out there to make the difference. However, we still need a lot of support and infrastructure to further pushing and flourishing the movement. In 2013 Twaiwan's Environmental Protection Administration (EPA) banned outright the use of disposable tableware in the nation's 968 schools, government agencies and hospitals. The ban is expected to eliminate 2,600 metric tons of waste yearly.